The son of Captain Henry C. Hobbs is pretty happy right now. For many years, he has been searching for the location in Normandy, France where his father crash-landed his glider on June 7, 1944. All of his men survived and they walked over four miles to a command post in Les Forges before heading back to Utah Beach and England. 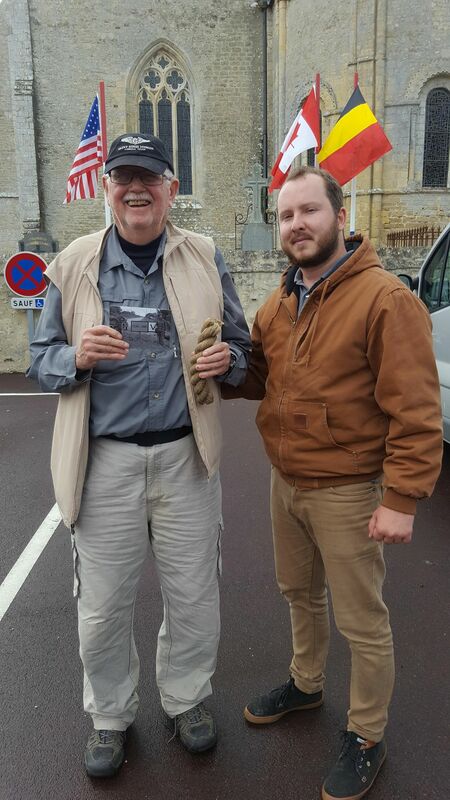 Chuck Hobbs was in Normandy during the 74th Anniversary of D-Day last week. He enlisted the help of Footsteps Researchers to find the glider crash landing area and to walk in his father’s footsteps. The search started with Myra Miller in St. Louis organizing the Footsteps Researchers team. 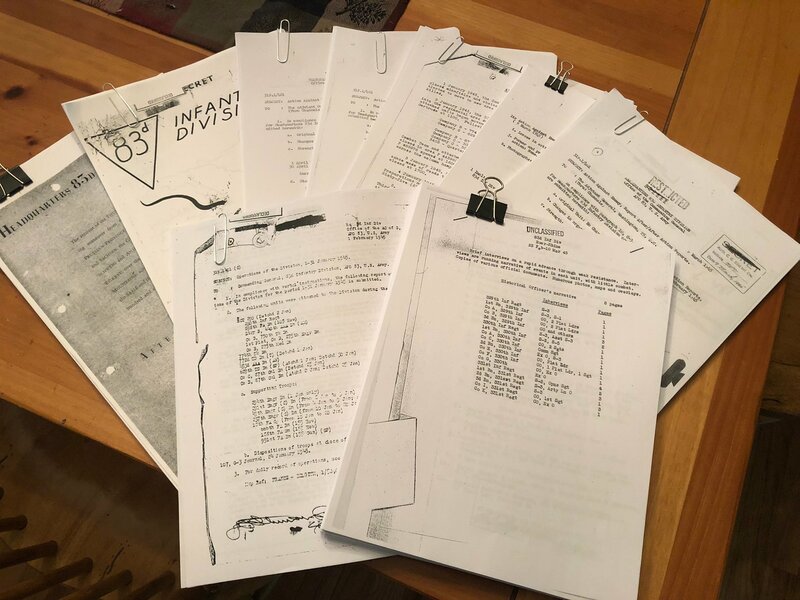 Myra assigned Kevin Banks, our Archive Researcher, specific files to pull along with flight records and Morning Reports from the National Archives where the WWII records are stored. Kevin sent his findings to Myra who then worked on figuring out the coordinates, maps, and locations based on information found in the reports. She then sent her findings and Skyped with team member Florent Plana, who lives in Normandy. The next day, Florent met with Chuck and took him to the area where the glider crashed in 1944… they traveled along the roads where a C-47 also crashed (Henry Hobbs mentioned finding this C-47 in his interrogation report)… and then to the command post where Henry and his men ended up. Teamwork and passion… this is how we make people happy! What constitutes your veteran’s service records? Every veteran who fought in WWII has his own Official Military Personnel File (OMPF). Soldiers who were killed or died during their military service also have an Individual Deceased Personnel File (IDPF), which documents their death and actions associated with the disposition of their remains. These files are housed at NARA St. Louis, Missouri. In 1973, a fire destroyed 80% of these files, and many relatives were told their veteran’s records no longer exist. Disclaimer: Please bare in mind that requesting and receiving your files usually takes two to four weeks! However, the request takes longer if it has to go through preservation. At NARA College Park, Maryland, the WWII Unit Journals, After Action Reports, photographs, and maps can be researched for you. It is a different process to research at this facility. We would request a wish list and figure a capped dollar amount before researching files. We would then communicate about our progress to let you know the success of the project.